When we talk about why some places gentrify and others don't, there's often a pressing, underlying question at stake: To what degree is gentrification bound up with and shaped by race? This is usually the district most discussed outside of Chicago. What most fail to realize is that gerrymandering in this case was carried out to ensure that minority representation would be secured in the HoR. Now it's being pointed to as a sign of oppression. 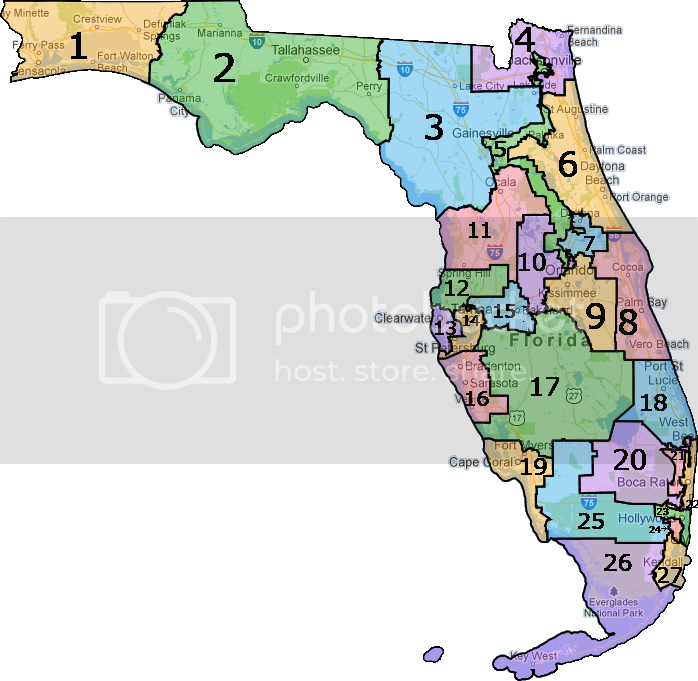 If the district were evenly sliced, the Tea Party would take over the seat and any chance for African-American representation in Northeast Florida would vanish.